ST. LOUIS, December 20, 2013 – ESCO Technologies Inc. (NYSE: ESE) today announced that its commercial aerospace subsidiary, PTI Technologies Inc. (PTI), was awarded a contract by Embraer S.A. (NYSE: ERJ) to provide hydraulic system components for Embraer’s second generation E-Jets E2 commercial aircraft family. PTI was awarded the contract to design, develop, manufacture, supply and support various hydraulic system assemblies, components and filter elements that will be incorporated into the hydraulic operating system for the E-Jets E2 commercial airplanes. PTI will begin design and development work immediately. Production units will be added to the contract by the issuance of future purchase orders. Once the aircraft are in full production, annual revenue from this contract is expected to be $5 to $6 million, with total expected revenues exceeding $90 million over the production phase of the program. 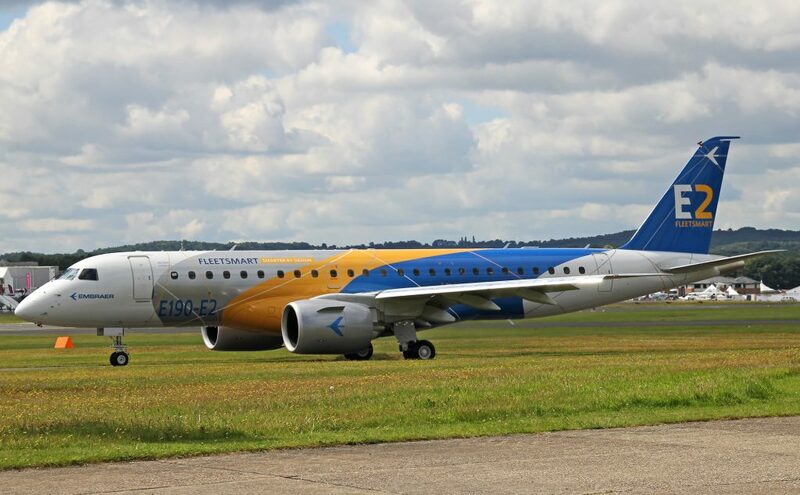 In 2013, Embraer launched E-Jets E2, the second generation of its E-Jets family of commercial aircraft comprised of three new airplanes — E175-E2, E190-E2, E195-E2 — seating from 70 to 130 passengers. The aircraft will feature aerodynamically advanced wings, improved systems and avionics, increased aircraft availability and double-digit reductions in fuel consumption, emissions, noise and maintenance costs. The E190-E2 is expected to enter service in the first half of 2018. The E195-E2 is slated to enter service in 2019 and the E175-E2 in 2020. Embraer is the world’s leading manufacturer of commercial jets that seat up to 130 passengers. The E170, E175, E190 and E195 set the standard in their category with their advanced engineering, high degree of efficiency, spacious, ergonomic cabins with two-by-two seating, and attractive operating economics. Since E-Jets entered revenue service in 2004, Embraer has received more than 1,350 firm orders for the aircraft family. More than 1,000 have been delivered. Some 65 airlines from 45 countries are currently flying E-Jets or have confirmed future deliveries. The aircraft are flying in low-cost, regional and mainline business applications. Statements in this press release regarding the amounts and timing of PTI revenues from and the success of the Embraer second generation E-Jets E2 project are “forward-looking” statements within the meaning of the safe harbor provisions of the federal securities laws. Investors are cautioned that such statements are only predictions and speak only as of the date of this release, and the Company undertakes no duty to update. The Company’s actual results in the future may differ materially from those projected in the forward-looking statements due to risks and uncertainties that exist in the Company’s operations and business environment including without limitation the timing and content of purchase orders, changes in customer demands, technical difficulties, delivery delays, defaults by customers and termination for convenience of customer contracts. ESCO, headquartered in St. Louis, is a proven supplier of special purpose utility solutions for electric, gas, and water utilities, including hardware and software to support advanced metering applications and fully automated intelligent instrumentation. In addition, the Company provides engineered filtration products to the aviation, space, and process markets worldwide and is the industry leader in RF shielding and EMC test products. Further information regarding ESCO and its subsidiaries is available on the Company’s website at www.escotechnologies.com.